Our tutorial team for 2019 includes Siobhán O’Donnell, Aimee Farrell-Courtney, Cormac Byrne, Jim Higgins, Colm Phelan, Robbie Walsh, Andy Kruspe and Rolf Wagels. “Eamon Murray from Randalstown, Co. Antrim, Ireland is one of the most respected bodhrán players in Irish music. He is described by Johnny McDonagh (De Dannan/Arcady) as “the future of bodhrán playing”, and by the Irish Echo’s Earle Hitchner as “one of the most captivating bodhrán players I’ve heard in years”. Eamon’s creativity and cutting edge style are a major influence on young bodhrán players today and he has conducted master classes throughout Europe, USA, Canada and Australasia. He is equally in demand as a recording artist and live performer. Eamon has performed with many renowned artists including Solas, Cara Dillon, the BBC Ulster Orchestra, Brian Finnegan, Liz Carroll and John Doyle, Kevin Burke, Laura Cortese and Mícheál Ó Súilleabháin to name but a few. He began playing at the tender age of 8 and through his youth received numerous accolades including a commendation at the prestigious ‘Young musician of the year’ final in 2004. 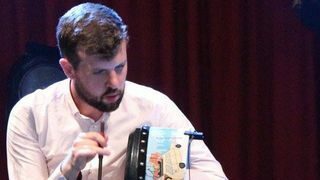 Eamon has held the All-Ireland Bodhrán title on four occasions and at the age of 16 he co-founded the Irish group Beoga, a band described by the Wall Street Journal ‘as the most exciting band to emerge from Ireland this century’. With Beoga and other artists he continues to perform professionally to audiences all over the world. Robbie is a bodhrán player hailing from Dublin. He won the all Ireland bodhran title in 2008 and he then went on to become a full time musician. The art of the drum was passed on by his uncle by the same name, who was part of the teacher team in the first years of Craiceann! He played with various different bands such as Loose, Ciorras, Coras, The Hunters, Keeva, Full Set, Blasta and The Jeremiahs. He also worked closely with dance shows and companys such as Celtic Ceilí, Celtic Legends and Damhsa. 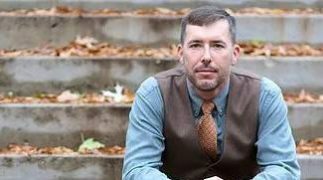 Robbie is an experienced teacher who is able to identify the needs and strenghs of his students and adapt to the varying aspects of how individuals learn. He runs the Bodhran Buzz, a series of workshops that take place all over Ireland. He now plays in two bands, Perfect Friction and Four Winds, with which he tours all over the world. We are always looking to include new top-class individuals in our tutor line-up. Of particular interest to us are people who have come to Craiceann originally as a student but then through academic qualification and/or performance accomplishment have reached the highest level. Notable past examples are Eamon Murray and Aimee Farrell-Courtney, and for 2018 we are introduced Andy Kruspe into this special category. In addition to his love of performance, Andy is also passionate about the academic side of this uniqely Irish instrument. 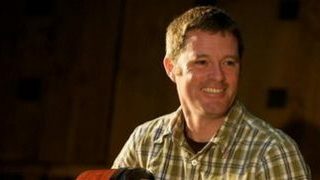 He co-presented a session on the bodhrán at the 2013 Percussive Arts Society International Convention (PASIC), has taught many workshops and clinics at several universities and colleges, and has published a comprehensive method, The Bodhrán Primer. He finished his second book, Playing the Tune (a method of techniques for accompanying Irish traditional tunes), in summer of 2015 and his third book (First Steps) aimed at beginners in 2017. Andrew holds Master of Music and Bachelor of Music degree. 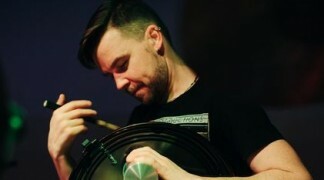 Cormac Byrne is a bodhrán player and percussionist from Waterford, Ireland and is now based in the UK. He has received many awards for his work including The BBC Young Folk Award and was winner of the BBC Fame Academy Education Bursary in 2006. Cormac has appeared at numerous festivals around the world and has toured extensively. Primarily playing with Mercury Music Prize Nominee, Seth Lakeman, he was also a founder member of BBC award winning band, Uiscedwr.His versatility has seen him in much demand across many genres, both live and in the studio, from Traditional Irish and Folk, World Music, Classical, Jazz and Pop. 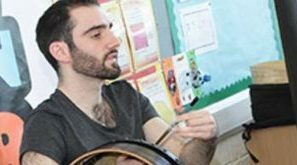 Cormac Byrne has given Bodhrán and Percussion workshops and clinics for several organisations and universities including Celtic Connections, Leeds College of Music, Folkus, The Music Workshop Company, The Music Room in Cleckheaton and several youth music groups around the UK and Ireland. 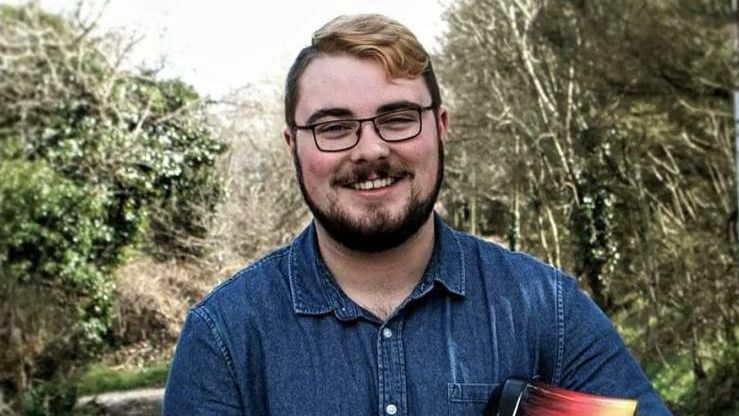 “Colm Phelan is one of Ireland’s leading young percussionists, and an exceptional Bodhrán player, providing new dimensions to the voice instrument” – Niall Keegan, Course Director, BA Irish Music and Dance. Colm is a winner of numerous All Ireland titles down through the years with his proudest achievements being the first ever World Bodhrán Champion, in Miltown, Co Kerry in 2006, and in the same year winning the All Ireland in Letterkenny for the second year in succession. Colm has studied Irish Music and Dance at the Irish World Academy of Music and Dance, University of Limerick. He was the first Bodhran player to graduate from the BA who has spent his entire four years studying the Bodhran as his main instrument. He is touring wold-wide with his band Goitse and has released a solo CD (The Full Circle) in 2012. His bodhran playing is full of baselines and very supportive for the tunes. No wonder he is in high demand as a live and studio artist. Jim hails from Renmore in Galway. Born into a musical family, he went on to study music in University College Cork under Micheal O Suilleabhain amongst others. While in Cork, Jim caught ‘the bodhran bug’, playing alongside players such as Mel Mercier, Colm Murphy and Frank Torpey. He went on to play drums with fellow Galwegians ‘The Sawdoctors’ following a four year stint with ‘The Riverdance Show’ which took him around the world. He is an honorary member of the Donegal based traditional group ‘Altan’ having recorded and toured extensively with them for the last fifteen years from the Hollywood Bowl to the Sydney Opera House. He has recorded and performed with such luminaries as Paul Brady, Christy Moore, Liam O’Flynn, Donal Lunny, Bill Whelan, Martin O’Connor and Lunasa. Rolf hails from Hanover, Germany. 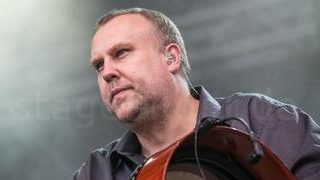 He is a member of the highly praised trad Irish trad bands Cara and Steampacket. He has played all over Europe incl. Ireland and with Cara he also toured in the US over the last seven years, headlining festivals like the Milwaukee Irish Fest and Kansas City Irish fest. Cara was voted „Top Group 2010“ und „Best New Irish Artist 2009“ in the prestigious Irish Music Awards. His teaching skills were shaped lecturing at the University of Hannover as his daytime job and he gives regular workshops in Germany and Europe since 1996. With drum maker Christian Hedwitschak he developed his own drum line and he also released a CD focusing on the bodhrán in 2011. Once again this year the great Donál Lunny will join us at Craiceann. Donal Lunny needs no introduction: He is an icon in the Irish Traditional Music world over the last thirty years. As a performer, producer, and mentor, he has had a huge influence on the music itself and on those who play and just listen to this powerful part of our Irish culture and heritage. 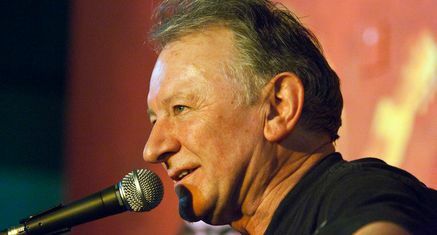 He has been a member of many landmark bands such as Planxty, The Bothy Band, Moving Hearts, and more recently Mozaik. Under his guidance, all of these bands have led significant shifts in style and content, but through all this progress Dónal has remained anchored to the bedrock of our music’s tradition. 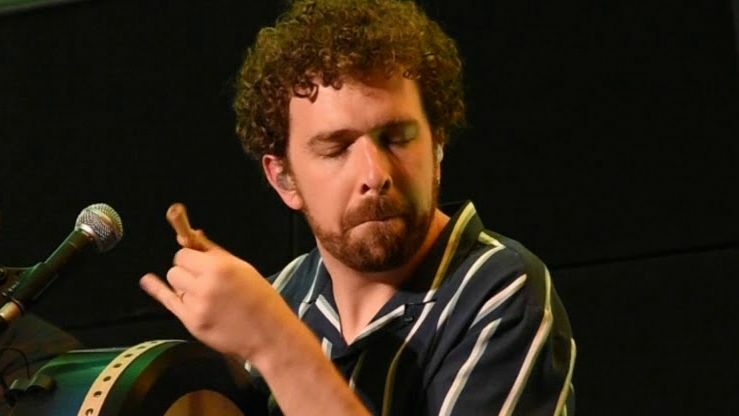 James O’Connor has been playing the bodhrán for over sixteen years and has his musical roots in the ‘wrenboy’ tradition of his west Limerick home. The traditional style of playing he observed at a young age encouraged him to learn, practice and explore all aspects of bodhrán. Having first attended Craiceann in 2011 as a student, he has been travelling to Inis Oirr for the festival every year since. James has competed in many Fleadh Ceoil competitions at local, regional and national level. 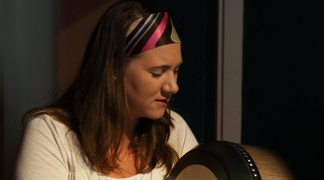 In 2017, he became the Senior All – Ireland bodhrán champion at the age of 19. He now performs and teaches bodhrán part – time while finishing a university degree in biopharmaceutical science.